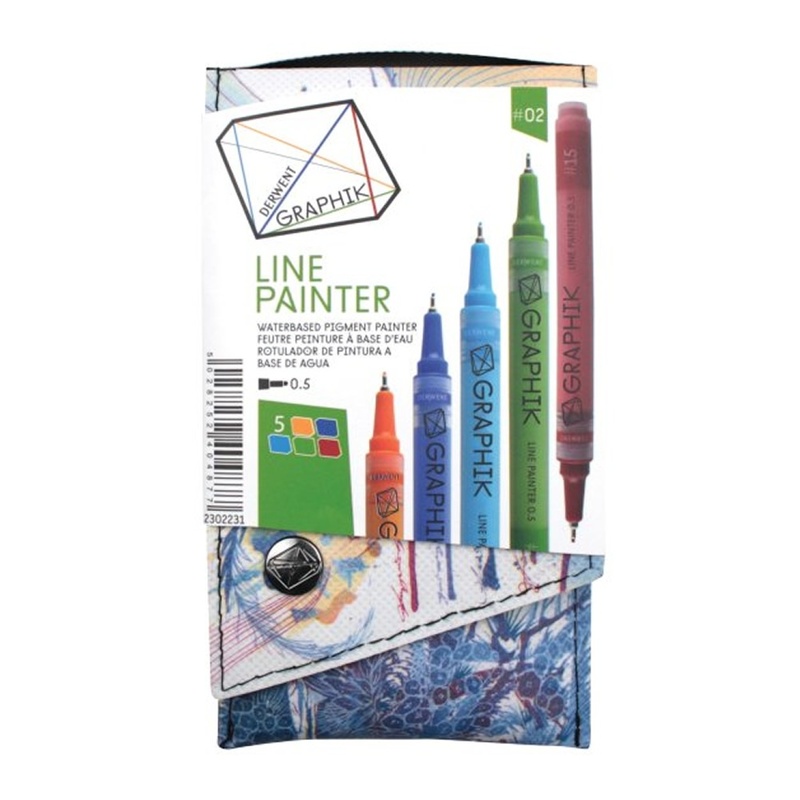 Graphik Line Painters are a fine line paint pen filled with lightfast permanent, opaque waterbased ink in 20 colours. The 0.5 Japan nib is robust and delivers a fluid paint line. To use as a fabric pen you must allow to cure for 24 hours before washing. This set of 5 Graphik Line Painters contains complimentary colours: #02 Clockwork, #08 Brilliant, #09 High, #13 Envy, #15 Brickroad. Love these pens and great value at this price.